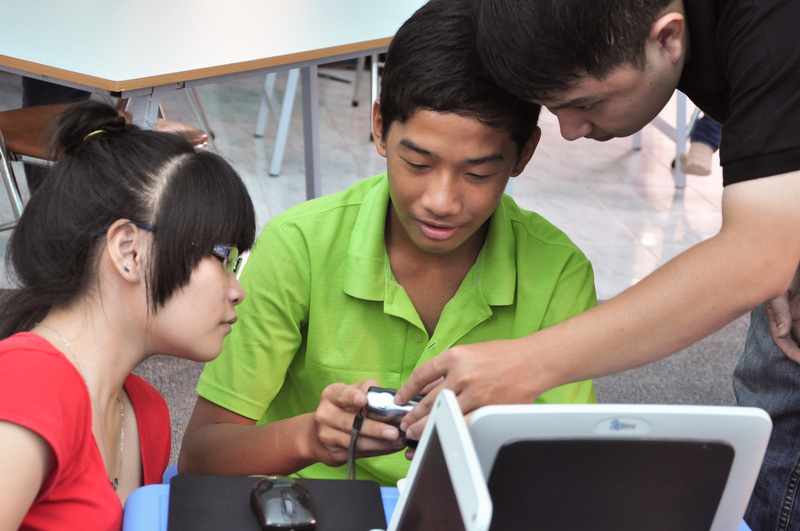 Mission: To provide computer and internet skills training to orphan children in Vietnam, helping them prepare for a life after the orphanage. Results: More than 1,500 children from 25 orphanages have received computer training; 20 of those orphanages have become partners and committed to ongoing education; 18 teachers have been supported. 2015 is the year of expansion and growth: expanded from 10 to 20 orphanages. 635 children are currently in the program. Description: Thousands of orphaned children in Vietnam live in government-run orphanages, but a serious shortage of funding leaves most of these children vulnerable and unequipped. Orphan Impact provides relevant computer and internet skill training—involving critical thinking, collaboration, and creativity—to help these children gain the self-confidence and practical skill set that they need to succeed in their post-orphanage years. By the end of 2015, funding support from the Transparent Fish Fund will help Orphan Impact expand their model to include 635 children in 20 different orphanages in Vietnam. Orphan Impact raises a significant amount of their annual funding through individual child sponsorships of $200 per child per year. A donation of $16.67 provides funding for 1 child for 1 month. These 21st century skills are crucial for children to develop as they prepare for their lives outside the orphanage. 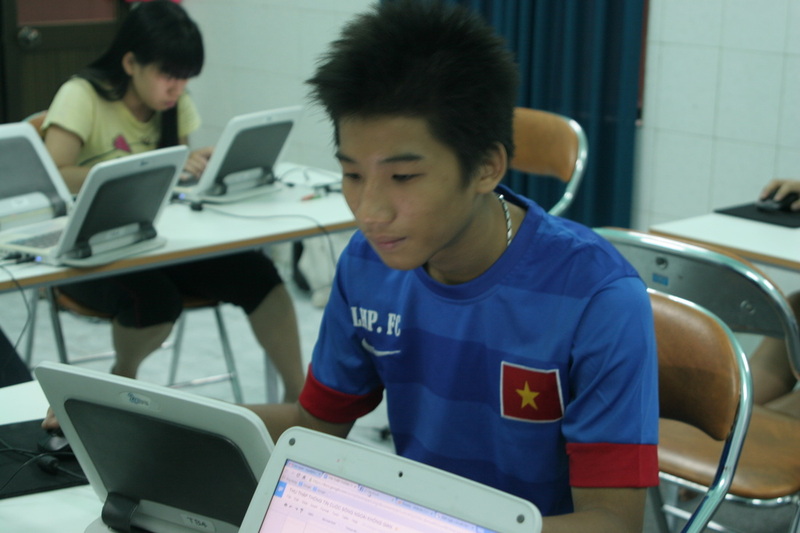 Hanh, age 20, graduated Tam Binh Orphanage after spending 3 years in our computer training program. Today, closely mentored by Bang, she is in Junior College studying to become a Social Worker and volunteers with Orphan Impact as an Assistant Teacher in several partner orphanages. This orphanage in Hau Giang Province, includes our youngest group of students. At first, we were worried that 7 and 8 years old students could be challenging to admit to our program. But now, 6 months in, we see such incredible enthusiasm and the students really do focus on learning to become "Independent Computer Users" - the objective of our first year courses. Anh has developed into one of our finest teachers. One of our teachers, Diem, met Anh is an extracurricular French class. They started talking, conversation turned to Orphan Impact, Anh applied to volunteer, earned a job as an admin staff, eventually taught a class, and now is responsible for coordinating teaching activities at 4 orphanages for nearly 200 children. Amazing. We purchased 75 new Chromebooks to transition our orphanage computer labs from Windows-based Classmate PCs to Chromebooks. This started a 1-year transition towards running an entire fleet of Chromebooks to ensure the same devices in all orphanages - creating easier management, troubleshooting, and consistency. We recently completed our transition in Q1 2015. We now have 100 Chromebooks running in 10 partner orphanages, benefiting 364 orphan children. The kids LOVE the Chromebooks. We trained 24 volunteer teachers to help us expand without increasing costs. These trainees are all young professionals in HCMC who love the work of Orphan Impact and wanted to volunteer their time towards our mission on evenings and weekends. Many of these volunteers say that they aren't in a place where they can work full time for Orphan Impact, but when given the opportunity to volunteer, they jumped at it. We are currently running 2 orphanage computer labs entirely with committed volunteer teacher teams. We are extremely proud of this accomplishment! 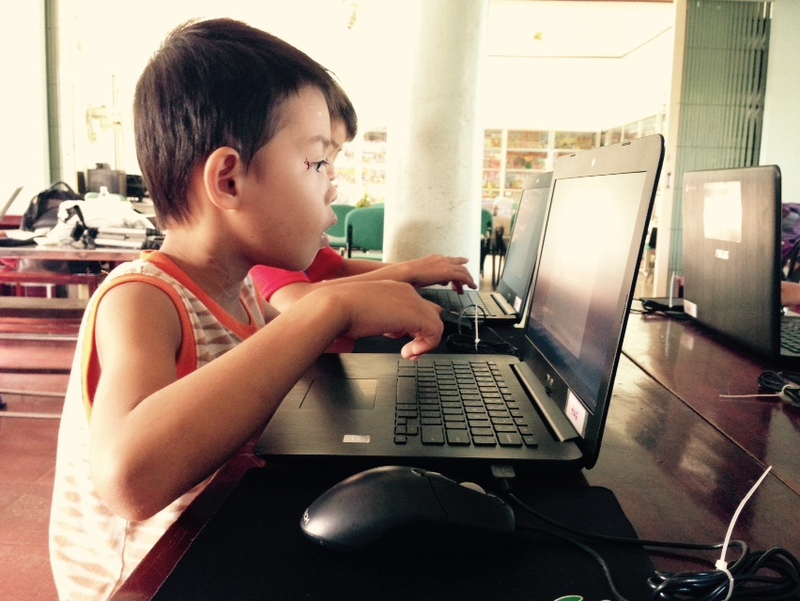 Continuing our Mekong Delta expansion to reach orphanages among the locations where children have the fewest opportunities, we launched a new orphanage computer lab in Hau Giang Province, a remote location and poor orphanage. 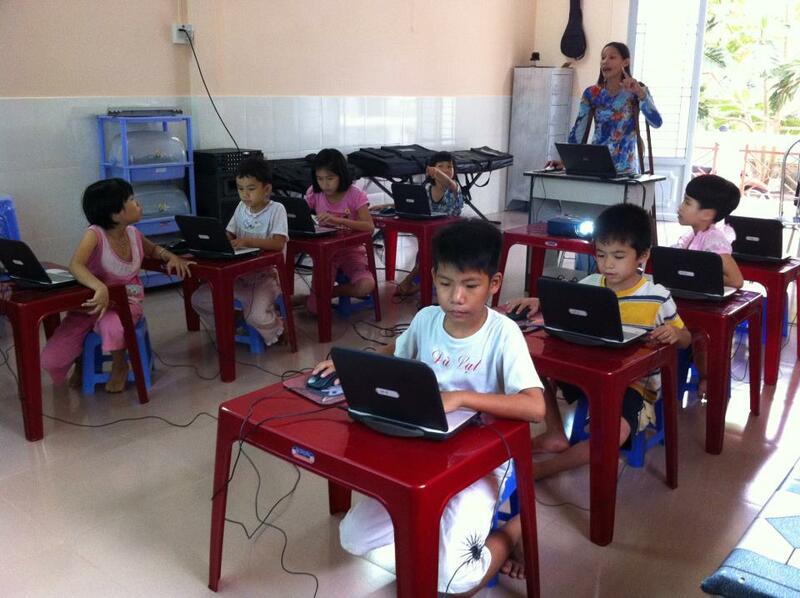 Forty orphan children now participate in weekly computer classes in Hau Giang. 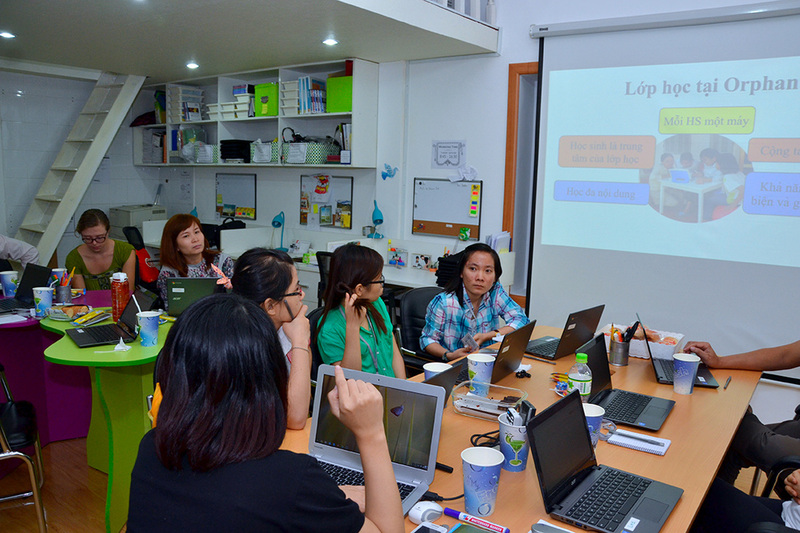 Expanding our pilot program for volunteer teacher trainers, we launched a new orphanage on the outskirts of HCMC. We are very pleased to share that 12 teachers rotate in teams of 2 teachers each to cover the teaching responsibilities. Thirty children now participate in weekly computer classes in Long Hoa. 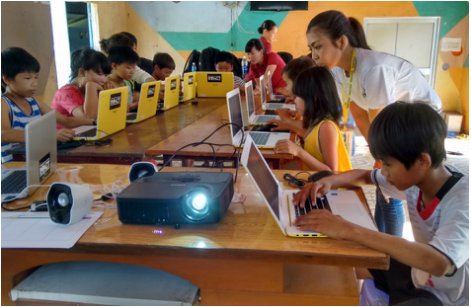 Further continuing our Mekong expansion, we launched a new orphanage computer lab in An Giang Province, currently the most remote orphanage among our partner orphanages. 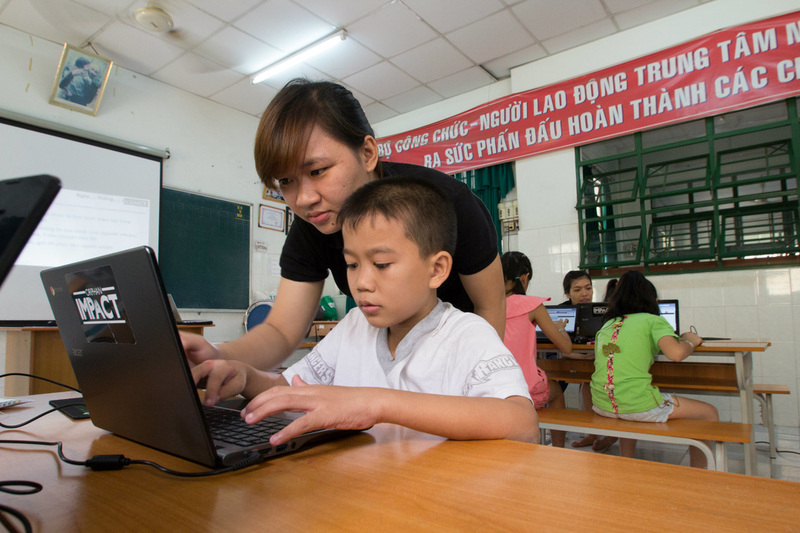 Sixty-four children now participate in weekly computer classes in An Giang. 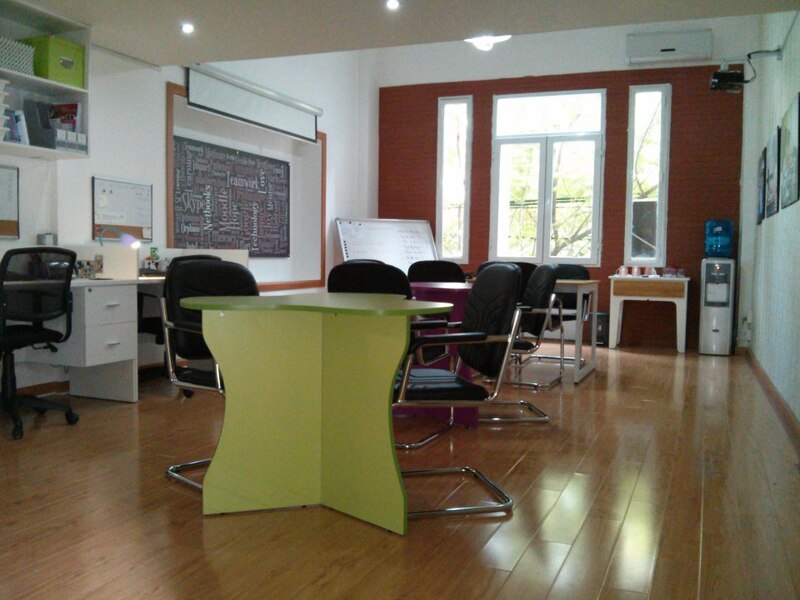 With funding from Transparent Fish Fund, Orphan Impact opened its new headquarters in Ho Chi Minh City this year. The space was developed to help them further their 2-year strategic development plan including: volunteer recruitment, teacher training, corporate fundraising, and a centrally-located, fun, bright, open space for lots of team collaboration. This year Orphan Impact received a $20,000 grant from the Chao Foundation via Transparent Fish Fund. Some of this money has been used to fund the 17 computer classes held by Orphan Impact each week. .
Vinh is a 16 year old boy from the Tam Binh Orphanage who loves to attend coputer classes. He is the first student to arrive and the last to leave. He even helps the teachers set up the classroom. He is a perfect example of how Orphan Impact has improved the lives of the children at the orphanage. Where before many of them were despondent, now they are lively enthusastic and inspired. In addition, since these casses have started, children have stopped trying to run away from the orphanage. 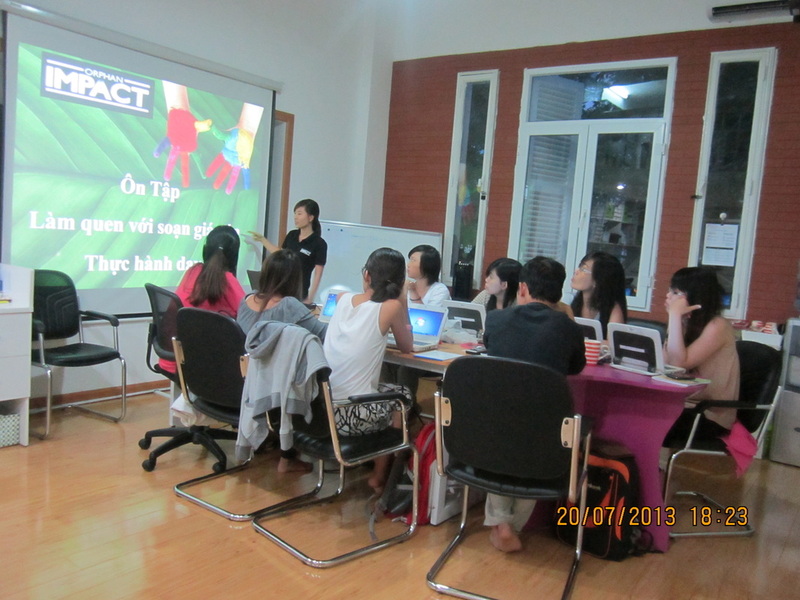 In 2013, Orphan Impact launched the "Volunteer Teacher Training" program. Vietnam has seen an increase in youth who are interested in becoming involved in volunteering and philanthropy. Orphan Impact created a way to engage these youth in their programs. The volunteer training program gives these youth a chance to participate in the programs for one hour a week after 245 hours of training. In July, the first group of eight volunteers started working and in December they finished 16 weeks of teaching. This program was monetarily supported by TFish. This year, Orphan Impact specifically challenged their students to grow and develop their critical evaluation and thinking skills. Not only do they want the kids to understand how to effectively use the computer and internet in their daily lives, but they also want to place an emphasis on helping the students to compare & contrast, evaluate, and solve problems. It's hard not to love the program in Can Tho. Remote location, limited DSL internet access, and an orphanage that is only accessible by foot path or boat. But since May 2012 the children have had access to cool netbooks, stabilized 3G internet, and exciting weekly lessons. This is exactly why Orphan Impact workers love doing what they do! to the other students the practical everyday uses for Dropbox, Google Chrome, and Microsoft Office. Digital cameras were a new component of Orphan Impact's curriculum this year. They are easy to use and provide students with fantastic opportunities to capture photos, tell stories, collaborate and be creative during group projects, and incorporate photos from their living environment into documents, presentations, blogs, and emails.